Happy Friday! Today I thought I’d post a throwback feature that was really popular in 2014. It’s all about using rustic natural elements in chic interior design… because sometime nature does it best! Don’t forget about using reclaimed wood as a unique decorative accent in your home. Here’s some stylish inspiration to get you started. I just love bringing the outdoors in! Brining reclaimed wood into a space really helps to achieve that. I should also note that you don’t have to be resigned to farmhouse style to make reclaimed wood work in your space either. 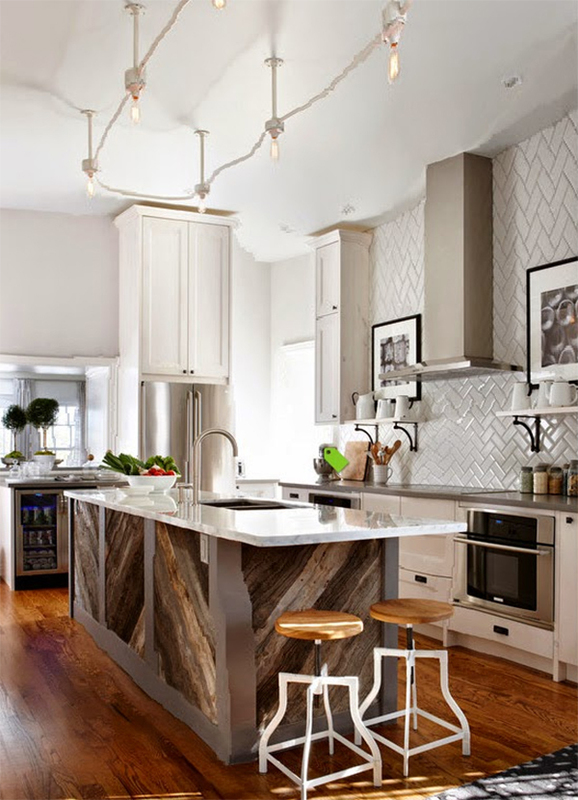 Not only that that, but reclaimed wood can be very, very chic! The reclaimed wood dining table above is such a great example of the chic-ness that can be reclaimed wood. 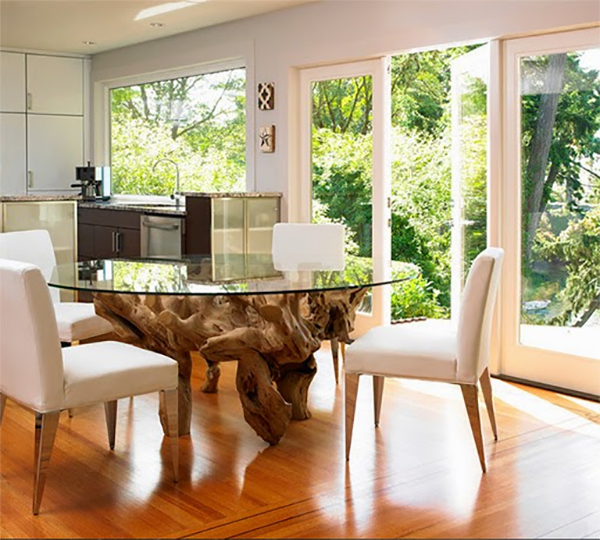 The Sky is the Limit Design creates such stylish juxtaposition be combining this root wood dining table with the contemporary chrome leg dining chairs. Just one of the many ways one can add reclaimed wood to their space. Against the cream color palette the reclaimed wood ceiling above really pops. 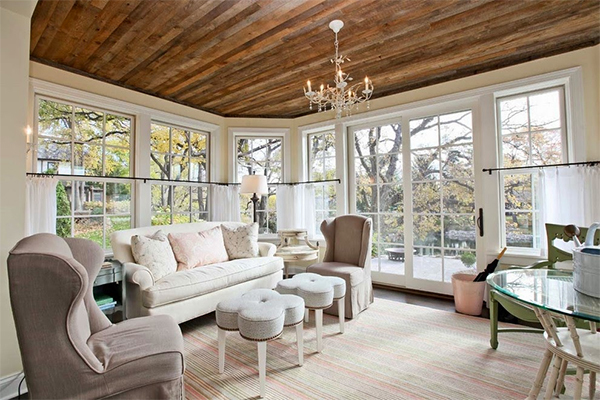 Designed by Martha O’Hara, this sunroom is just lovely! O’hara’s use of the rustic wood slabs on the ceiling gives this room a special cottage-charm. It all comes together quite nicely, especially with the chandelier. I’d absolutely enjoy relaxing in this room. Am I warming you up to decorating with reclaimed wood yet? Reclaimed wood adds a wonderful natural warmth to a room and could be a great accent to consider the next time you’re redecorating. Have a great weekend!